This Lemon Cream Cake recipe is my go-to when I want an all-out lemon dessert experience! I often mention my grandmother and her love of baking. She was always making something delicious, from cakes to fried pies. One of the cakes she frequently made was a lemon cake that consisted of dense lemon cake layers and a light, fluffy, lemon-y frosting that I could have eaten with a spoon! I have many of her recipes, but the one for her lemon cake is regrettably absent from that collection. I’ve been trying to recreate that cake for a long time, and I believe I’ve finally gotten very, very close with this Lemon Cream Cake! Yay! I do feel pretty sure, however, that her version didn’t involve Limoncello. That lovely lemon liqueur isn’t baked into the cake. 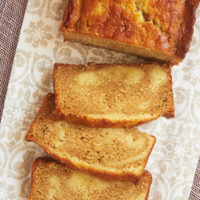 Rather, it is brushed over the baked cake layers and allowed to soak into them to add even more lemon flavor to this all-out lemon delight. The frosting really couldn’t be simpler. Just three ingredients give you a fantastic frosting with a lovely lemon flavor! I will warn you that once mixed, the frosting is very thin. It doesn’t have the consistency of a traditional frosting. But chill your frosted cake for a bit, and it will set up beautifully. If you like, top this cake with some fresh berries. Blueberries, raspberries, blackberries, strawberries… whichever you prefer. It will add more flavor and will certainly be eye-catching. Personally, I prefer to put the focus solely on lemon for this cake to make it as close as possible to the cake I remember. My grandmother always kept her lemon cake in the refrigerator and served it straight from there. I do the same with this cake. Keeping it chilled will keep your frosting from running away. 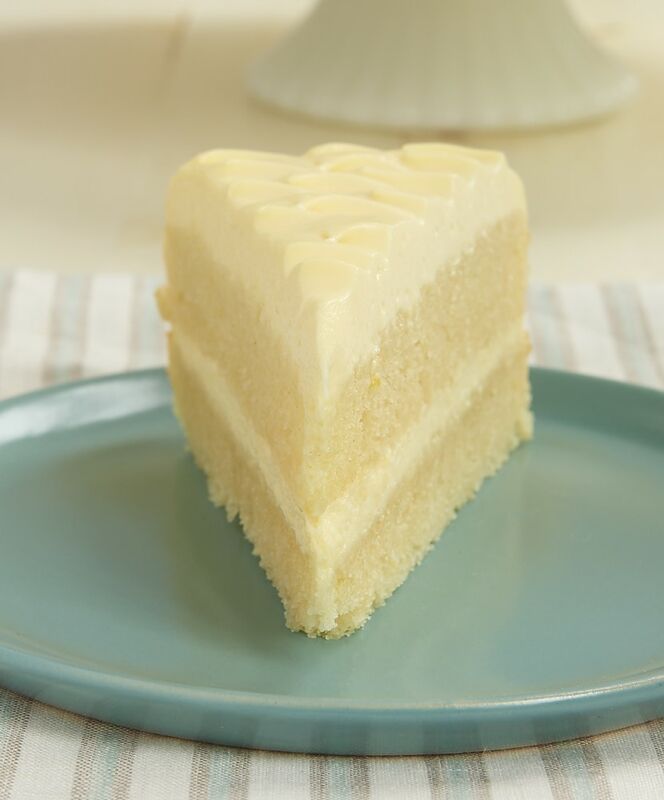 And you’ll also enjoy every bite of this cake in its cool, creamy, lemon glory! Find more cake recipes in the Recipe Index. 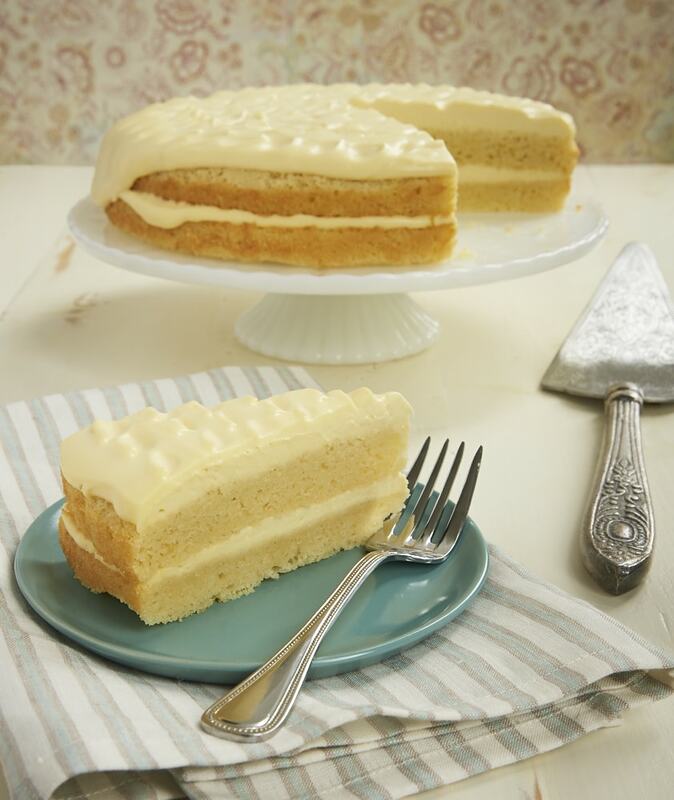 Lemon Cream Cake is an all-out lemon dessert experience! Preheat oven to 350°F. Butter 2 9-inch round cake pans and line the bottoms with parchment paper. Butter the paper. Whisk together the flour, baking powder, salt, and lemon zest. Set aside. Using an electric mixer on medium speed, beat the butter and sugar until light and fluffy. Add the eggs, one at a time, mixing well after each addition. Mix in the lemon juice. Reduce mixer speed to low. Add the flour mixture in three portions, alternating with two portions of milk. Mix just until combined. Divide the batter evenly between the prepared pans. Spread evenly. Bake 30 to 35 minutes, or until a pick inserted into the center of the cakes comes out clean. Cool the cakes in the pans for 10 minutes. Then invert the cakes onto a wire rack to cool completely. Using an electric mixer on medium speed, beat the mascarpone, cream, and lemon curd until thoroughly combined and smooth. Place one cooled cake layer on a cake plate. Brush or drizzle about half of the Limoncello onto the cake. Spread about half of the frosting over the top of the cake. Place the other cake layer on top of the frosted layer. Brush with the remaining Limoncello. Spread the remaining frosting over the top of the cake. Chill the cake for at least an hour before serving to allow the frosting to set. *Cream cheese will work if you don’t have mascarpone. **If you don’t have Limoncello or just prefer not to use it, you can omit it. Recipe slightly adapted from Taste of Home. I would love a a slice of this with fresh berries on top! How delightful would that be? Someday, we will find the recipe! I cant wait to try this. Thank you for recreating this memory for us! OMG. You had me at lemon. I adore anything “real” lemon. Can’t stand fake stuff. For years I couldn’t handle lemon extract in baked goods because it tasted so phony but then I found lemon oil and all got happy again (not to mention finding a higher quality lemon extract to argue that isn’t a bad ingredient!). I have a friend with an up-and-coming birthday. This one would be perfect. Thanks, Jennifer. You always know the perfect recipe when I need it!! Well shoot looks like I’m going to have to make me one of these lemon cream cakes all because of your tempting mouthwatering images…thanks Jen. Hi, Debbie. Thanks for catching that! I’ve updated the recipe. I use mascarpone for the frosting, but you can use cream cheese if you prefer. Enjoy! 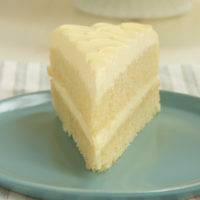 This lemon cream cake looks so pure and innocent. The color gave me a heavenly feel. And I am very sure that it will taste better with some berries. But nevertheless, it’s gorgeous! Richard, lemon curd is a spread or topping made with lemons. You can buy it prepared, although it’s really simple to make your own. I like to use this recipe to make it: Lemon Curd. i will make this wonderful lemon cake. i miss my grandmother she would make Delicious cake’s and pie’s baked and fried. I made this cake today. It came together really easily. I made my own lemon curd and had some left over so instead of using the Limencello, I poked holes in the layers and poured the warm lemon curd over each so it could soak into the cake and set-up while they cooled. I also mixed the cream cheese and lemon curd together then turned the mixer to high and whipped in the heavy cream. This gave it a really fluffy consistency. Everyone loved it! Wonderful flavor. Thanks for sharing!! I’m so happy to hear you liked it! This was an awesome cake to make. It had a really great flavor. I did want to know if you could make it with cake flour instead of all purpose flour and if you can how much cake flour do you use? Hi, Kisha. If you want to use cake flour, the usual substitution is 1 cup + 2 tablespoons cake flour for every 1 cup of all-purpose flour. So, you’d need to use 2 & 1/4 cups cake flour. I made this cake for a social event and it was a hit.I did not have Limoncello, so I made the cake without it. The cake is light, fluffy and very moist and the frosting is perfect. The flavor of the cake really shines because neither the cake or the frosting is too sweet. 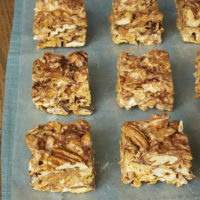 This recipe will be making it into my permanent recipe folder for sure! Thanks for a great recipe. That’s so great to hear, Janis! I’m so glad you like the cake! Swooning! Both the cake and frosting look fabulous! that frosting, it looks dreamy!!! Mascarpone frosting, lemon curd and cream frosting…Sounds like heaven to me! Lemon cake will forever remind me of my sweet gramma. Love this! I love how light and fluffy this cake looks. There are two neglected Meyer lemon trees in our neighborhood – no one picks the fruit except me. I see a cake in our future! Perhap your grandmother added a bit of lemon zest to it??? The smallest ingredient can make the biggest difference and the zest just puts it over the edge for me. I’ll have to try that! Thank you for sharing, would this cake hold under fondant? Thanks again! Hi, Heidi. I’ve used fondant exactly once in my baking, so I don’t have much experience with it. This is a fairly delicate cake, though, so fondant might not be a good choice. It was delisious! Thank you for sharing. Just a note for those who’ve never worked with Marscapone chees, “until thoroughly combined” happens fast and too long “breaks” the frosting and that is too long and a point of no return; had to toss out the frosting and do over. 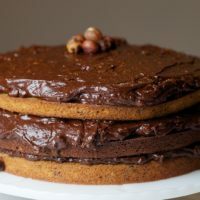 I made this cake with some minor tweaks and everybody loved it.Can I double the recipe to make two cakes?Any ingredient which needs to be adjusted? I’ve not tried it, but I think you should just be able to double it without any other adjustments. What tweaks did you make? Id love to know! I didn’t care for this cake. The frosting would be better using cream chees. The marcapone frosting was to thin and sweet. Cake was to dry for me. Made this cake yesterday–it is amazing! Very unique from any I have made–simple recipe, came out beautifully and very moist. 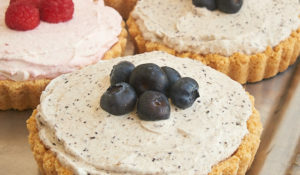 The frosting is so good–I whipped the cream before incorporating it into the curd and mascarpone with a wisk, and used a more tarte flavored curd. Just so heavenly–and even better the day after. Thank you for this recipe!! I made this earlier in June for my mom’s birthday since she is a lemon lover. It was delicious, especially the icing. I have to admit, too, that I made it on Saturday but because of an unexpected problem, I didn’t serve it until Tuesday evening!!! It was still delicious and seemed perfectly fresh. Will definitely try it again, and eat it right away to see if it tastes even better super fresh! I really like this recipe. i was hoping you would be able to help me adjust the cake recipe so that I can use a 6inch cake tin instead? Are you wanting to make a single layer 6-inch cake? Hi, Felice. You could try adding some confectioners’ sugar. I’d start with maybe 1/4 cup and adjust to your tastes. Hello again! Id just like to know if it’s possible to use this recipe in a 13×9 inch cake pan? I’ve not tried it, but I think it will work. The cake will be a bit thicker than if baked in 9-inch round pans, so it may need a few more minutes of baking time. I’m glad it was a hit, Barb! Made this today its in the fridge waiting for my kiddos to get home so we can share it. Comment: my layers are very short-only about 3/4 inch high. Did I do something wrong? Otherwise, i am dying to eat it. The smell of the warm cake was making me crazy. I made microwave lemon curd for the first time and OMG! I reserved some of the curd and spread it on the first layer. Licked the frosting bowl. Not too sweet. I whipped the cream first then added the curd and marscapone. Hi, Julia. These layers aren’t exceptionally tall, but that does sound thin. If you used larger pans than listed in the recipe, that would certainly do it. I would also check the expiration date on the baking powder. Thank you. I just tested my baking powder in hot water and it barely fizzed so I guess thats the culprit. Even so the cake tastes delicious its just more dense. I was wanting to make this as a bundt cake…would I need to adjust temp of oven and cook time? Hi, Victoria. I’ve not tried that for this recipe, so I can’t speak from experience. You’ll need a fairly large Bundt pan (12 to 15 cups, I’m guessing), and the baking time will increase a good bit because the cake will be thicker. I’d guess that it will take about an hour to bake, but you’ll just have to test with a pick to see when it’s done. Also keep in mind that the texture will likely alter, making a denser cake. I would probably not use just lemon juice. A lemon syrup might be a better choice. Hi – I made this cake earlier this week and used straight lemon juice instead of limoncello. It tasted great. It was still sweet enough and added another layer of lemon flavor. I did use Meyer lemons which aren’t as tart. THANK YOU!! I will be making this awesome cake very often. Boyfriend loves it…..who wouldn’t lol. I did make a little change. I added a small pkg. Of instant lemon pudding. 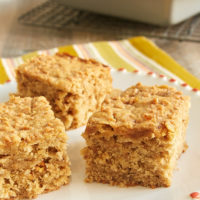 Added a 1/4 cup more of flour, 1/4 cup more of sugar, 1/4 cup more of milk, an additional egg, and an additional 3 tbs. of butter. I did a lemon curd with it and topped it with lemon cream cheese frosting. OMGOSH!!! WOW…….I CANT BELIEVE HOW GOOD IT IS!!!! 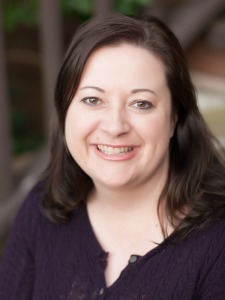 Dear baking friend Jennifer! how are you doing, i would to attend the baking courses but i am staying in Namibia/Windhoek. I made cup cakes with this recipe. Made a couple of small tweaks. First, I sifted my flour b/c I like light cakes. With the frosting, I whipped the heavy cream first then added in the marscapone and lemon curd just until mixed. Loved the frosting, perfectly light and not too sweet. I didn’t have any limoncello, but really wish I did b/c I thought the cake needed just hint more of lemon. Also, I poked holes in the middle of the cup cakes and filled them with remaining lemon curd (highly recommend Mackays). 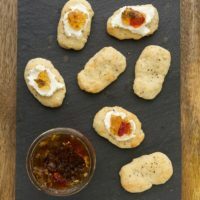 I brought them to party and everyone loved them! 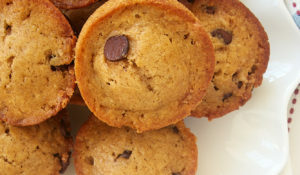 This is a fanstastic recipe that makes a tasty “adult” cup cake (my son thought they weren’t sweet enough). Thank you. I plan to check out more of your recipes. I’m so glad your cupcakes were such a hit, Donna! I made this yesterday for a friend’s birthday. She loves lemon so this recipe was a great choice. The frosting was a bit thin and I was afraid the layers would topple so I cut up the cakes and made it into a trifle. I layered the cake and the frosting and threw in some fresh raspberries. It was amazing! I followed the directions but ended up with frosting the consistency of soup. Went back and beat the marscapone and cream longer and it eventually thickened up, but next time I will whip the cream first. It is a thin icing, but chilling it keeps it firm enough in my experience. If you had troubles and didn’t change anything, then it might just come down to something as simple as a difference between brands of ingredients. Hello. 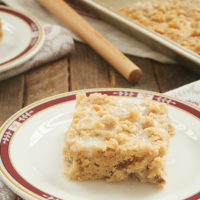 What attracted me to this recipe is the picture of the cake crumb. Looks very delicate, moist and not dry. If i wanted to make this a yellow cake, can i omit the lemon juice in the batter? Will it change the texture of the cake? 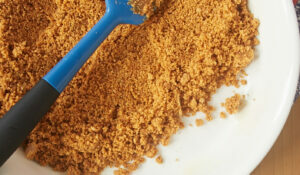 Or do you have a recipe for s yellow cske with this same crumb? Hi, May. I’ve not tried making this cake without the lemon, but I suppose it would work. You might want to add some vanilla extract to the batter for a little more flavor. I’m looking to add blueberries to this how much fresh blueberries would you suggest? And do you have a lemon buttercream frosting recipe your would recommend? My husband doesn’t like cream cheese!! Hi, Carrie. This cake is pretty light and fluffy, so I’m not sure it would hold up well to the addition of berries. You can always serve it with fresh blueberries. I don’t think I have a recipe for lemon buttercream. Maybe give this one a try. I made this cake for Easter and was quite disappointed. It was not light and fluffy as some of the other comments, but super dense and not very moist. I brushed several tablespoons of the limoncello over the tops of both layers before frosting and it still tasted like a super dry mess…the frosting was light and refreshing, but I did not care for the cake part. I would try this again with cake flour, as I think the AP makes it too dense of a cake for my taste. For the frosting, I used my stand mixer with the whisk attachment and let the lemon curd, mascarpone and whipping cream whip up to a nice light almost whipped cream consistency and had no issues with the icing being runny and it held up, even after sitting out (not refrigerated).